Here is a simple price chart to help you determine your per student pricing. Twenty five individual stories from the Torah. Each story comes with full-color stickers. Beginning with the Creation of the world and ending with Moses’ death, the twenty-five A Child’s Garden of Torah sticker lessons cover the all the major stories. 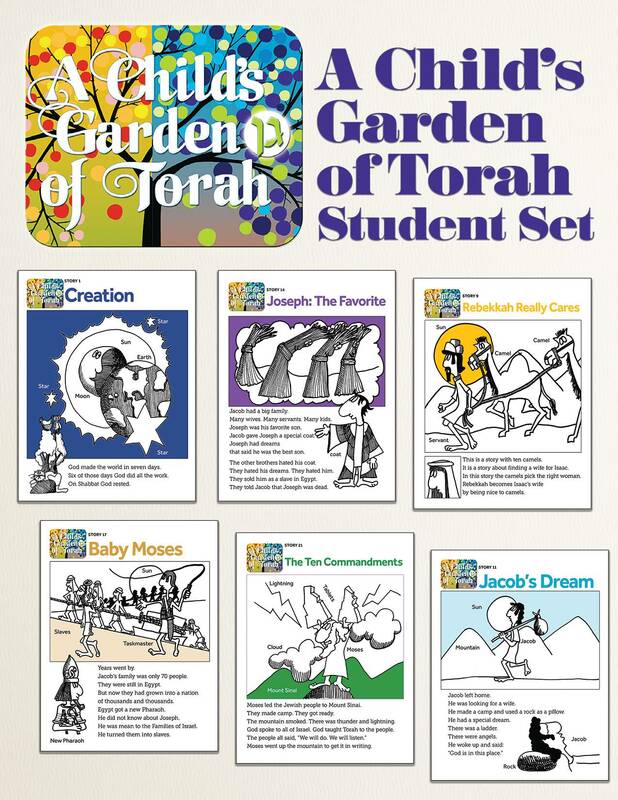 Each Child's Garden of Torah Student Set contains one package of each of the twently-five lessons, enough for five students. The price for the Student Set is based on a single student. You must purchase the student sets in multiples of five.